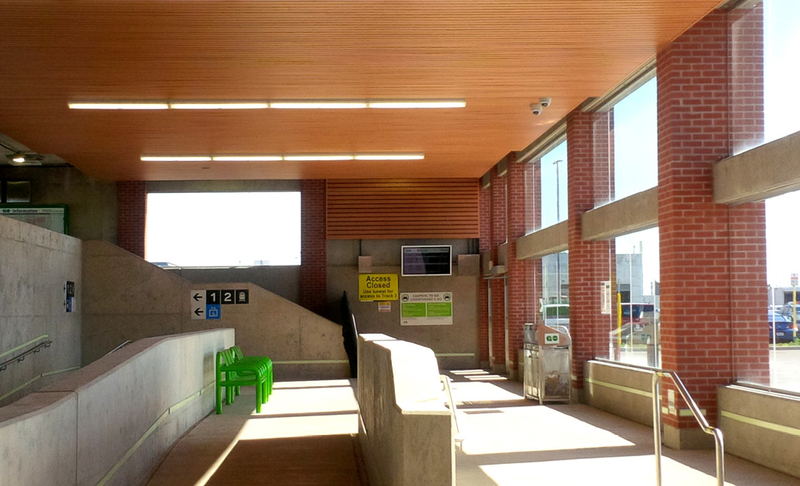 GO Transit: Bronte Station Improvements - Strasman Architects Inc. 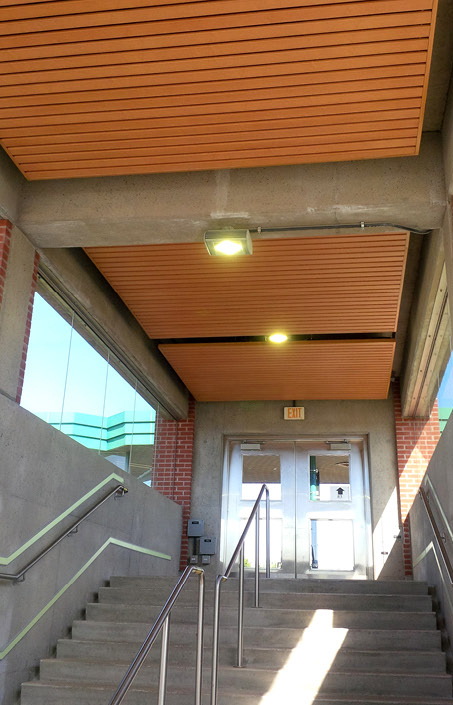 This project was undertaken as part of a Metrolinx emergent work contract to improve passenger comfort at the south stair at GO Bronte Station. The initial scope of improvements include site landscaping improvements, a new fence at a garbage compound, new recessed entry mats, upgraded drainage, solar control, and acoustic improvements. The final extent of renovations were limited to acoustic improvements to address sound reverberation within the space to provide clarity for passenger information announcements. The design solution was developed in consultation with the acoustic and electrical consultants with input from the Metrolinx Design Review Panel. 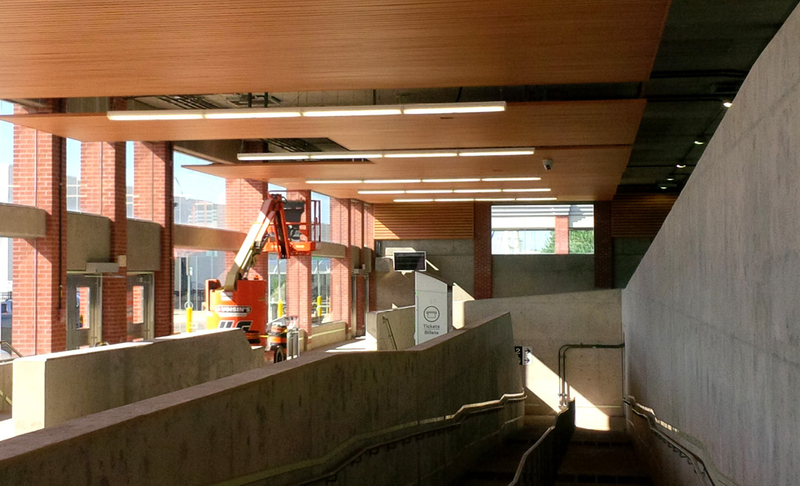 A suspended metal acoustic ceiling system with a light wood finish was selected for consistency with Metrolinx branding while providing a sense of ‘warmth’ to the otherwise austere interior.